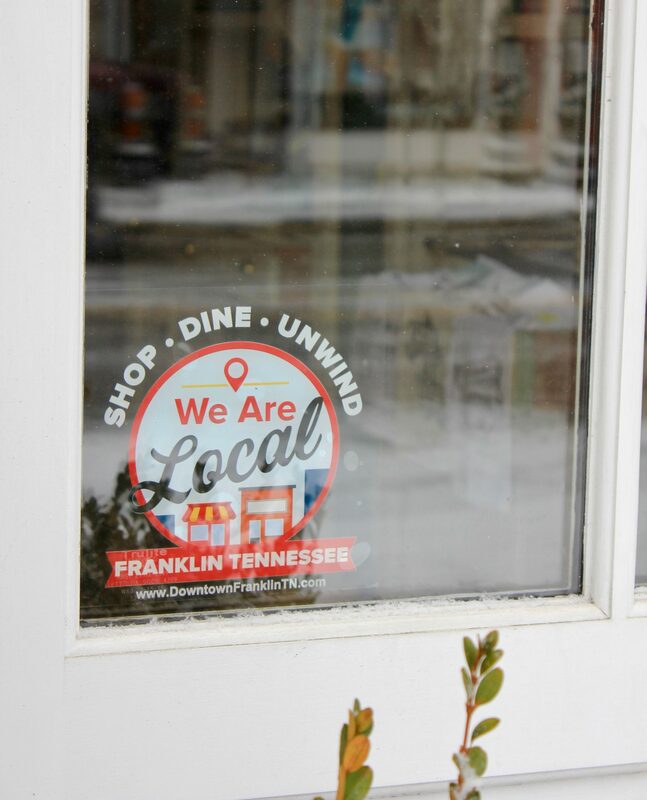 FRANKLIN, Tenn. – Downtown Franklin Association merchants and building owners will support Small Business Saturday on Nov. 24 with special promotions and events. To encourage shopping local, the Downtown Franklin Association partners with The Factory at Franklin and the Franklin Transit Authority to provide free transportation with the Hop & Shop Trolley. The shuttle is a heated and handicap accessible form of transportation for passengers to take into downtown Franklin from The Factory. Running in 30-minute shifts from 10 a.m. – 5 p.m., the festive trolley will begin with special guest City of Franklin Mayor Ken Moore on Nov. 24 and will continue Dec. 2, 16 and 23. Founded by American Express in 2010, Small Business Saturday is celebrated every year on the Saturday after Thanksgiving. Its purpose is to support small businesses and celebrate communities across the country. The Downtown Franklin Association is accredited by Main Street America, a program established by the National Trust for Historic Preservation. The main street program is a four-pillar approach to downtown revitalization. Small Business Saturday falls under the Promotions pillar, positioning downtown Franklin as a hub of economic activity while showcasing the community’s unique characteristics and supporting a buy-local experience. The Downtown Franklin Association is a key division of the Heritage Foundation of Williamson County, TN.